I can’t stop taking photos of this beautiful nature flower explosion. 元気Flower Power!! 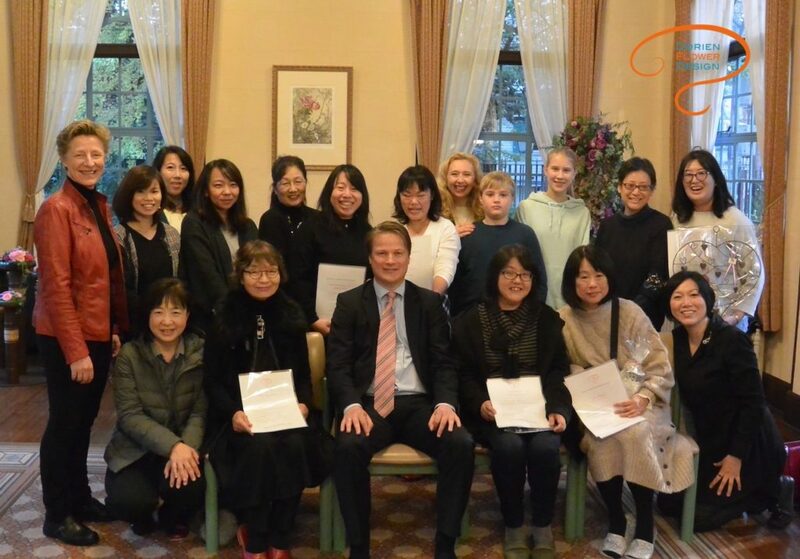 The new graduate Dutch Flower Arrangers where very very happy with passing the DFA examination last month. 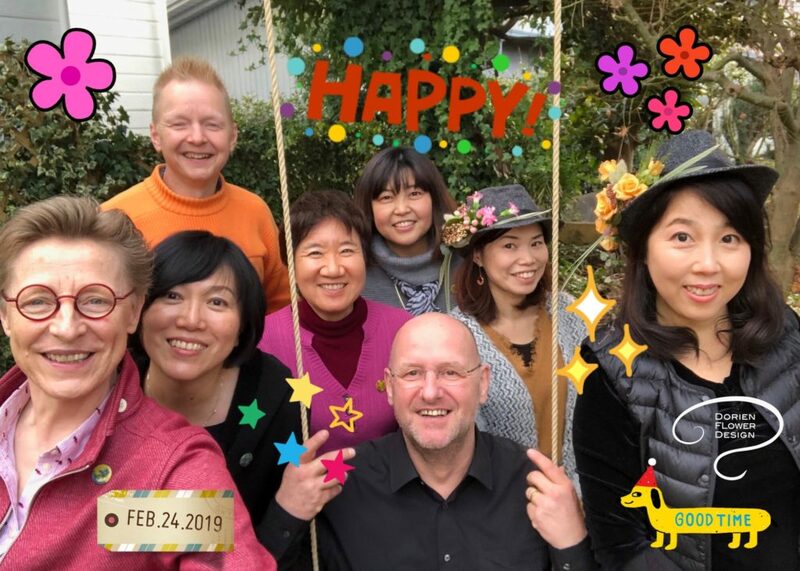 Yes we are going to celebrate this success with all the brand new Dutch Floral Designers & celebrate our 25 th anniversary at the Netherlands Embassy in Tokyo this April enjoying the Tulips in full bloom. 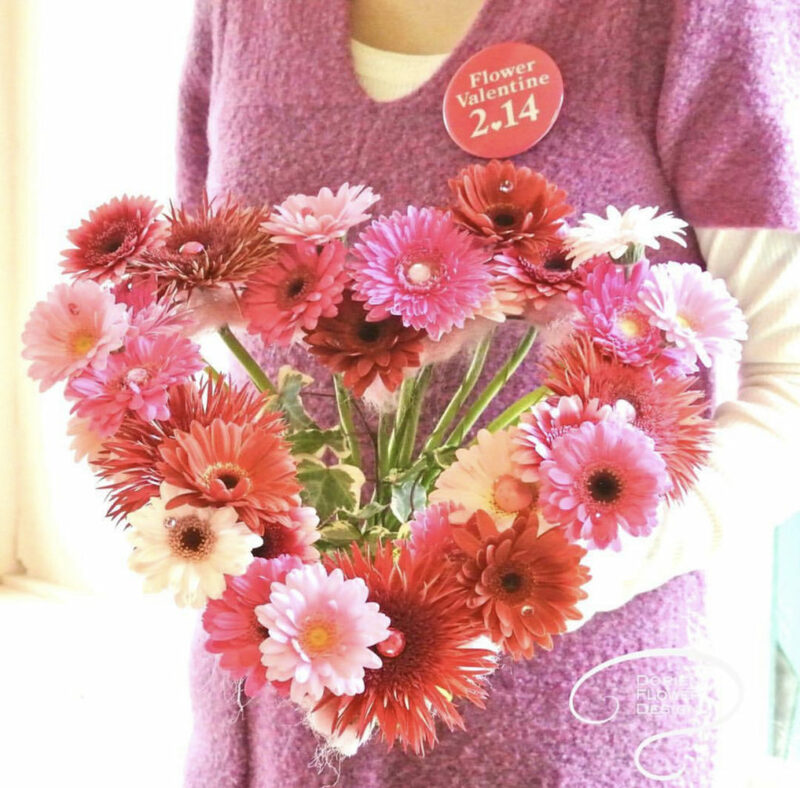 Do your like to learn the best technique and beautiful Dutch Flower Arrangement is this what you are dreaming off? 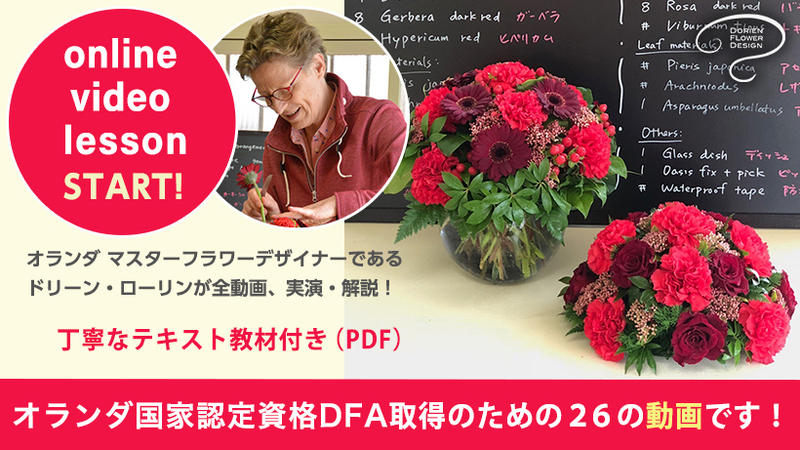 Welcome to join our Open lesson day DFA Dutch Flower Arrangement in our atelier in Yokohama. I love teaching and meeting you, come a feel, see and smell if this is what makes you happy! “Oooh what a nice smell here! !” smiled a visitor entering the room full with Fragrance Roses. She could feel the Flower power! Food for our soul, blessing for our eyes and the fragrance Roses heaven for our nose! How fortunate we are to be able to enjoy this paradise of fresh flowers!!! For all our Dutch Floral Designers a great opportunity to practice and show their friend s& family their design Theme : bridal & fragrance Roses. 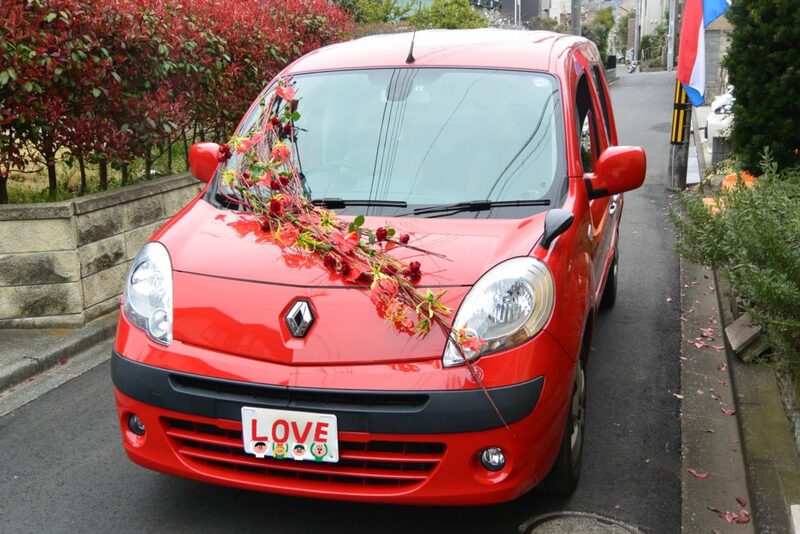 Big applause for all our Dutch Floral Designer for their participating and good maintenance of the fresh flowers. 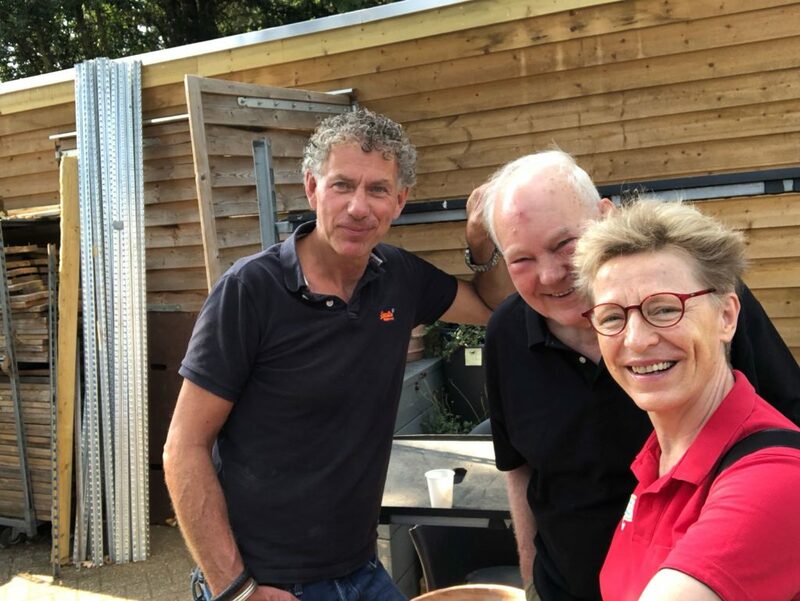 Special thanks to The Netherlands embassy: Mr. Evert Jan Kraijenbrink for selecting the Embassy prices- 3 best Arrangement!!! 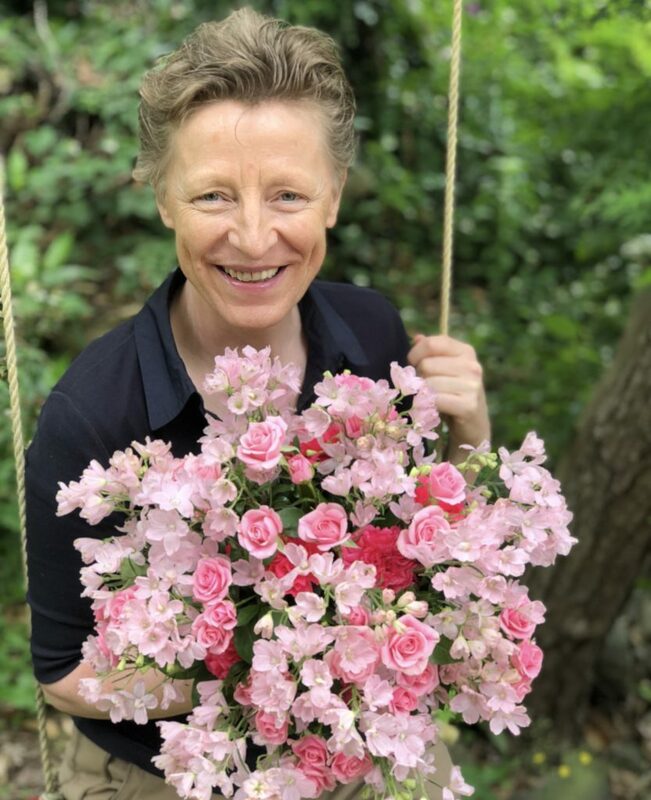 We also have a special FB group only for Dutch Flower Design lovers; you are welcome to apply: Dutch Flower Arrangers Japan. Yes our Dorien team did it!!! I am so grateful!! 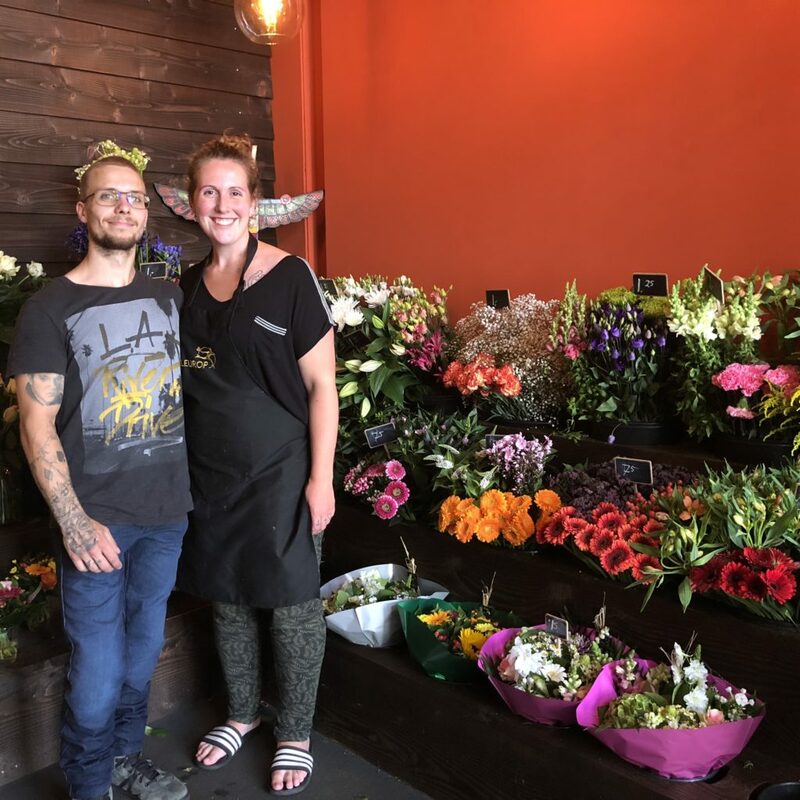 Now you can study Dutch flower arrangement at your own location. We launched our ON-LINE video lesson. 26 Dutch Flower Arrangement videos where I demonstrate each arrangement step by step. Beside the videos you can download your digital textbook. Color photos and illustration step by step how to make it. You can start today, get your flowers, watch the video, and use your digital textbook on your PC, iPad, iPhone or smart phone. After finish your arrangement you can check you arrangement according the Technique check list, and Design check list. 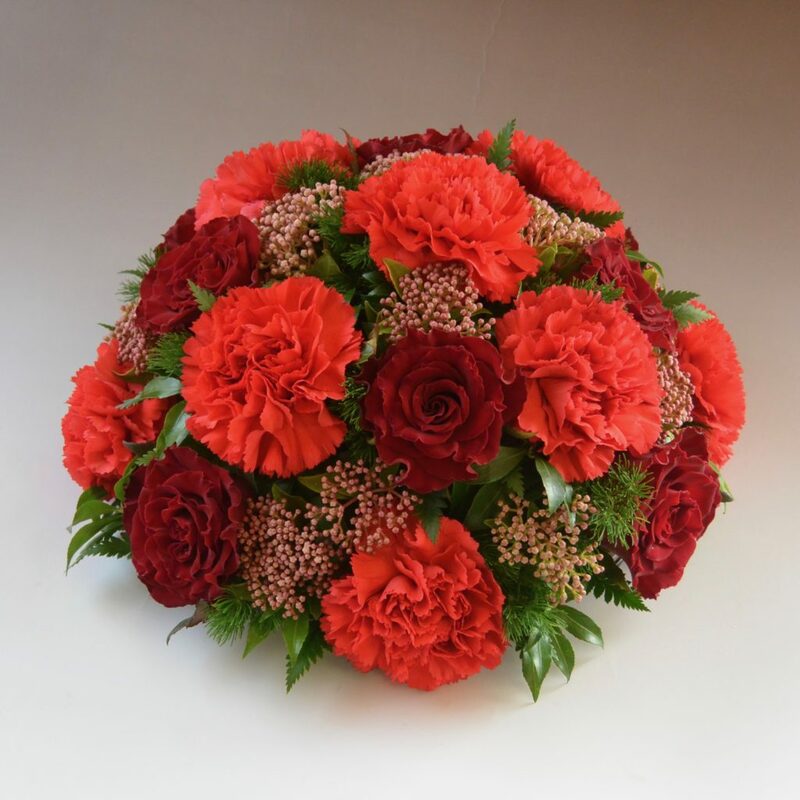 After completed the arrangements you can get the Dutch Flower Arrangement Certificate by Dorien Flower Design. 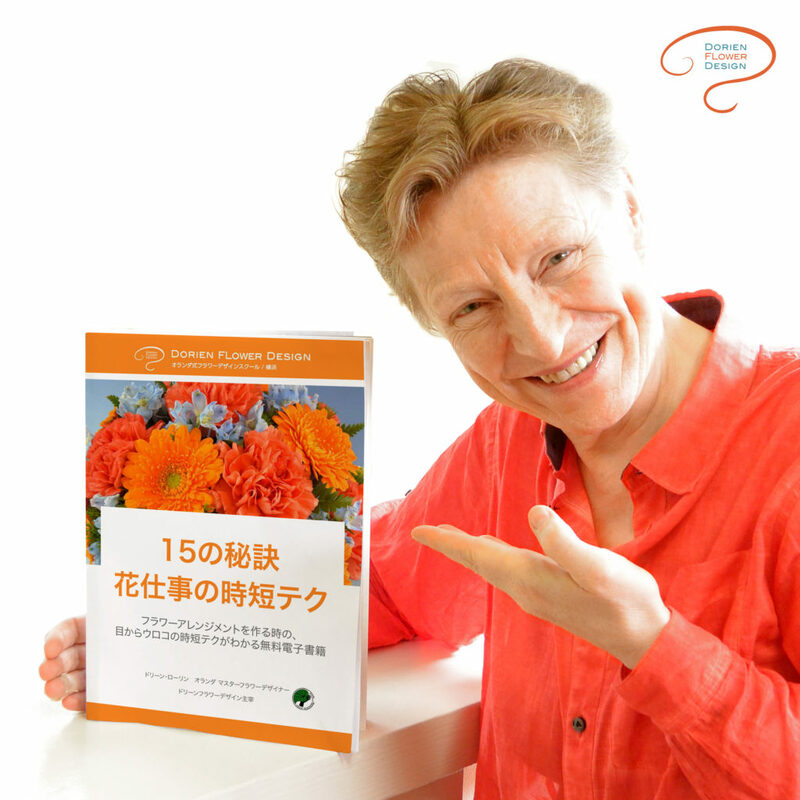 I am so excited about this ON-LINE video lesson, what is in Japanese and English. I cannot wait to welcome you to our close FB group where you can ask your questions and post your photos. 1) Can I download this PDF textbooks only one time? No you can download the PDF files 365 days. 2) Beside downloading the textbooks on my PC can I also watch this on my iPad and iPhone? Yes you can watch on I-pad, I-phone. 3) Do I need the certificate before I participate in the DFA open examination? No, you can join the open DFA examination without the certificate. 4) How long can I see the videos? The videos you can see 365 days any time as much as you like.